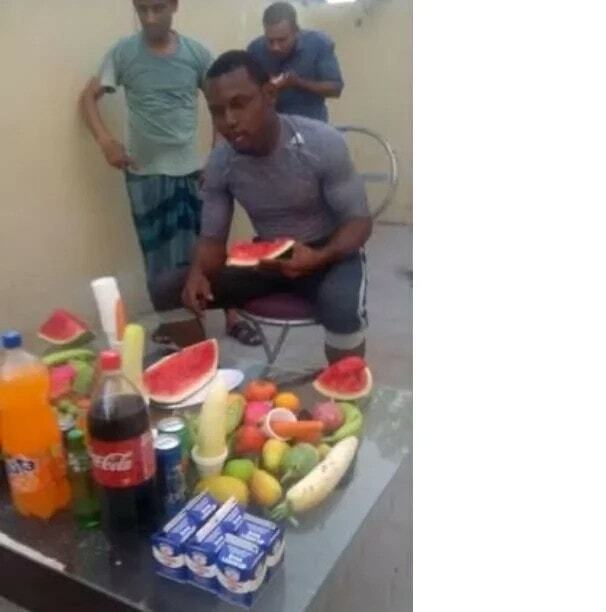 A Nigerian man reportedly based in Dubai, Chidi Pope Umeh, was seen celebrating his birthday with all kinds of fruits instead of a birthday cake. 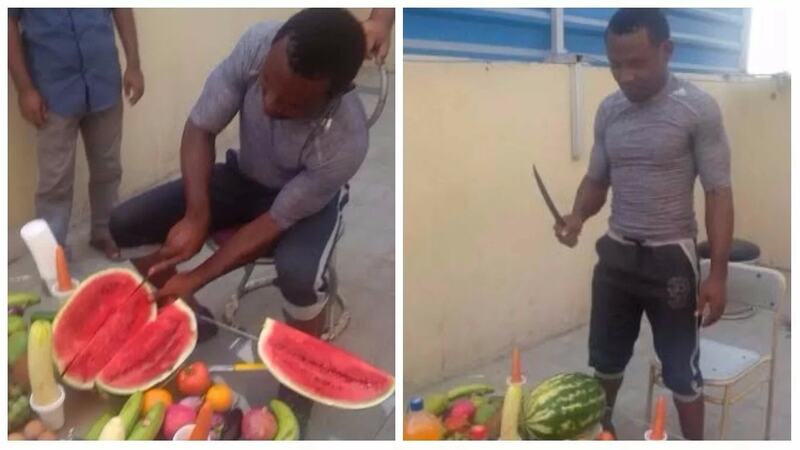 He thanked God for adding another year to his life by cutting a ball of watermelon as his birthday cake and his friends joined him to eat out of the fruits. Looking at the pictures the man could be seen seating in front of the table full of fruits with a knife as he sliced the watermelon for his friends to eat.